When we remain attached to #Jesus (our source of light, love, #truth, #wisdom), others notice our #peace and come to find His rest with us. That’s how I end up living out my faith most days. How about you? **It has also been shared at any link highlighted here: Mom 2 Mom Monday Link-Up, Make a Difference Mondays, Pick Your Pin Tuesday, Women With Intention Wednesdays, Grace & Truth, A Little R & R, RaRa Link-Up, Me, Coffee & Jesus, Dance With Jesus, Blessing Counters, Coffee & Conversation, Bonbon & Coffee Linkup, Saturday Soiree, Tell His Story, Find Stability, So Much at Home, Faith-Filled Fridays, Reflect His Love and Glory Link-Up, and Christian Mommy Blogger. Bonnie, when we visited with your parents we stopped by the pond, looking as you & David did for those allusive frogs. We could hear them, but they were good at hiding from us. How many of us “hide” till the “danger” we feel (real or imagined) passes? 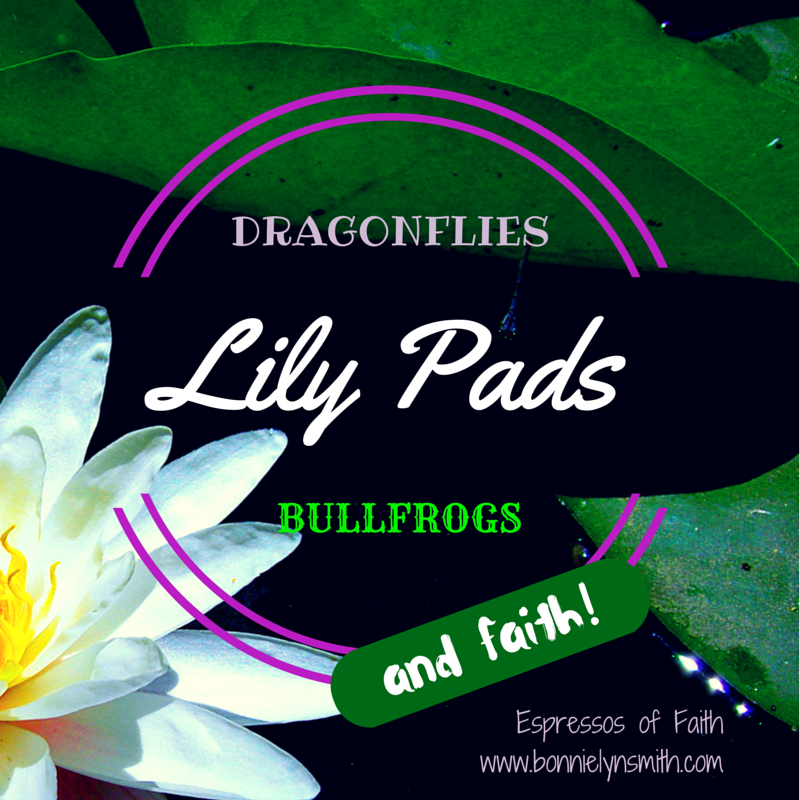 How many of us use the “lily pads” for shelter? I know I do, more often than I care to admit. I think God puts them there when we are in need of rest, respite, renewal, so we can “restart” & continue on Life’s Journey. Debbie…that’s such a beautiful reflection, thank you! I definitely take cover under those lily pads…often! And you’re so right…the dangers are real or imagined, but He knows how we fear. I am so grateful for the rest and respite! Thank you for helping me “unpack” this further. I love talking about His provision in our lives. It helps me feel less alone. Much love! Lots to contemplate here, Bonnie. In my life I am at a regrouping stage. Licking my wounds, recharging, and trying hard to absorb and recognize His power and presence in my life. Hi, Mary: I feel like that is also where I am at, more or less. Sometimes we stay in that phase a while. Continued prayers for you, my friend! Praying you sense His presence and purpose in all that you walk through. 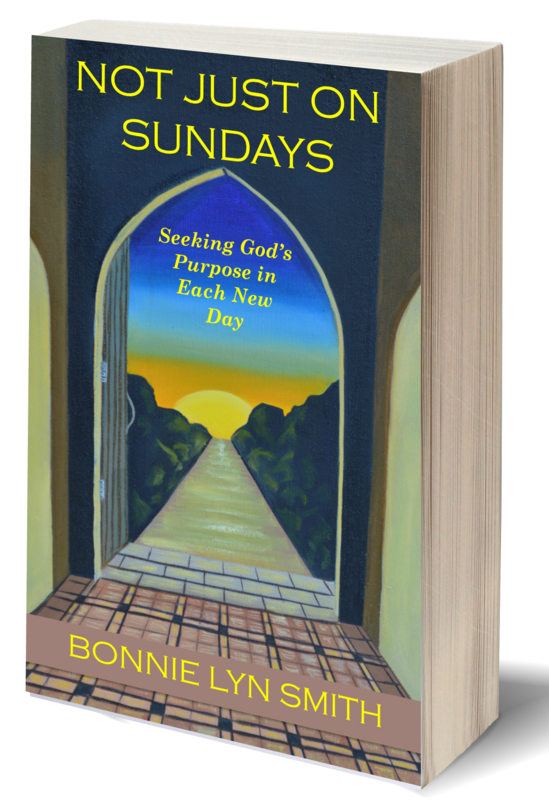 As always, Bonnie, you paint such a lovely picture with your words – and the lessons that you draw always seem directed at my heart. You asked a question – where am I at? To borrow your words, I’d have to say that I am in a season of “mourning or disappointment, cautious but ready to get your wings on again.” There has been no flitting or flying, let alone soaring as of late. Life has been hard. So, I am relying on my God-given roots to hold firm. You know, your image of the lily pad brought to mind a lesson that I learned at the ocean one day. I was walking along the shoreline with my brother and my husband. And there was a lot of kelp that was washed up on shore. One huge piece had this *clump* at the bottom, full of all these tangled root-like structures. My brother told me that this was called the “holdfast” – and it was what held the kelp anchored to the floor of the ocean when the currents and tides moved against it. Yup, there’s a lesson, huh?! (BTW, I have a photo of the holdfast on my blog’s sidebar). Sharon…how did I miss this one? I am so sorry it has been hard. We sound like we had the same summer in terms of that. That is where I am as well. Holding on like the lily pad right there with you. Your words always bring me such comfort. Thank you, Friend! Blessings. Give me an update when you get a chance…I didn’t read many blogs this summer. Must get over to your site. Love this my my coffee twin. I enjoy watching the dragonflies dance outback. We live by a creek and they fly over daily. One night I was sitting outside and the frogs were saying, “all’s right”.and it is. God is still God. He is still on the throne and still in control. No matter what happens this month, all its right. Thanks for posting this on #bonbonncoffee linkup. Oh, Bonnie…absolutely the right words for me! Thank you! Yes, “no matter what happens this month.” Thank you. Digesting that. I’m so happy you got your linkup started….Well done, you! Glad we’re connected!